A professional and award-winning* entertainer for more than 15 years, the last 10 of which she has dedicated to her one-woman act—Celebrity Imposters—Bonnie has been singing and strutting her stuff to the enjoyment of local, national, and international audiences, in theatres, convention centres, casinos, cruise ships, and less exotic stages. 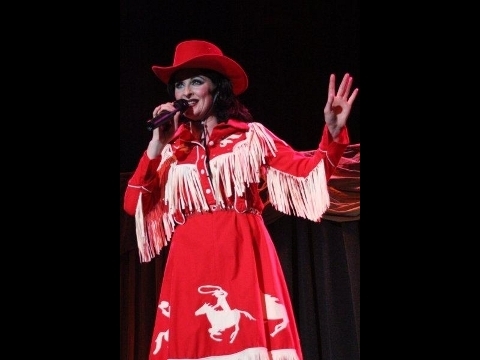 The producer of her own one-woman-shows—Divas: Vegas Meets Vaudeville, Country Queens and The Patsy Cline Tribute Show (among others)—this versatile performer is always coming up with new ways to thrill and delight. Bonnie combines fabulous medleys of music, video and physical comedy, to produce a multimedia entertainment experience with professional production values, combined with surprising twists, which brings much laughter, delight, (and even some tears) to her ever-growing legion of fans. During her shows, Bonnie uses her skill as a performer to encourage audience participation, which always adds an extra element of novelty and surprise. Her natural comedic timing, striking looks and versatile vocals all help to create a mesmerizing feast for your entertainment senses! Whether it be a featured performer on the Seabourn Cruise Lines, co-host of the Merritt Mountain Music Fest , performing at the Vancouver Comedy Festival, or at a casino or theatre “near you”, Bonnie is ready to deliver her unique talent to any stage!